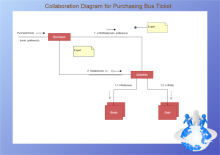 UML Collaboration diagram, or a communication diagram or interaction diagram, is a representation of the relationships and interactions among software objects in the Unified Modeling Language (UML). And here is how to create one. 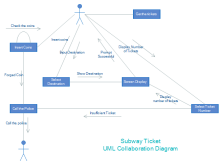 A UML Collaboration diagram, can be represented by modeling objects in a system and representing the associations between the objects as links. The interaction between the objects is connected by arrows. And a number is placed next to each of these arrows to determine the process of these objects. 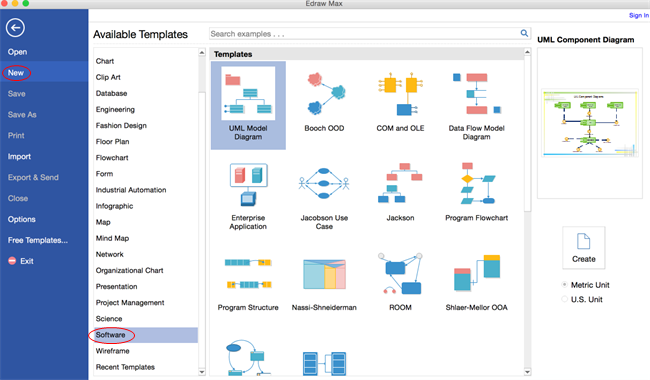 With the help of this powerful UML Diagramming Tool, you will find it not difficult at all to create a UML collaboration diagram, its various built-in shapes and convenient smart connectors enables you to get started without any difficulties. Go to File menu > New > Software > UML Model Diagram, and then double click the icon to open a new drawing page for your UML collaboration diagram. 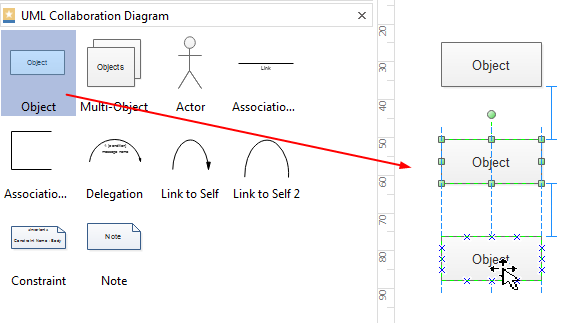 Drag and drop shapes from the "UML Collaboration Diagram" library on the left. 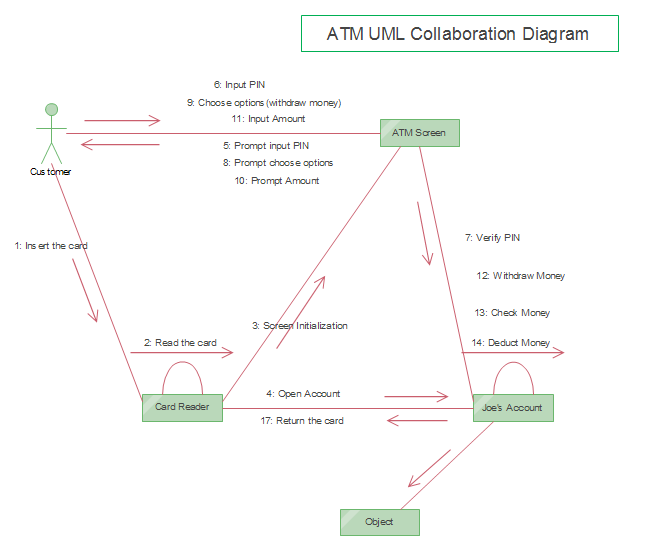 Click here for more information about UML collaboration diagram shapes and symbols. Rulers and connecting dots will automatically appear on the shapes, all you need to do is to adjust the position and Edraw will tell you whether it is in the right position or not. Under Home tab, go to Connector , choose the connector type you need, then simply rest the pointer on a connection point of the shape to connect the shape you want. 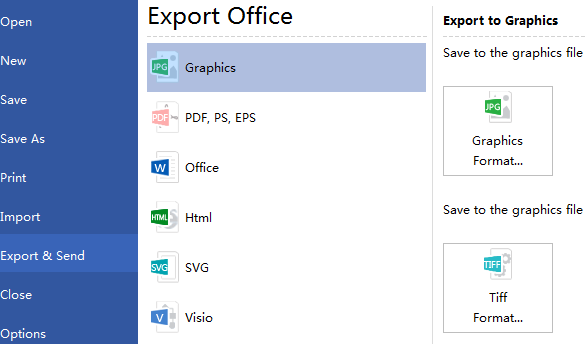 Under the "File" tab, hit "Save" to save your UML collaboration diagram as the default format .eddx, or click on "Save as" under "File" tab to save as other formats. Click "Export & Send" under "File" tab to export the UML collaboration diagram to other formats including PowerPoint, JPG, PDF and so on.